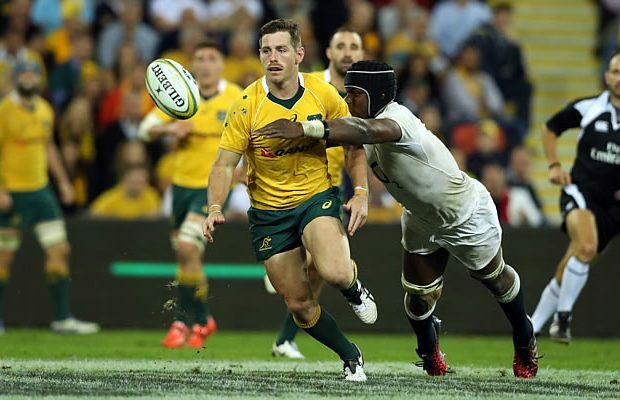 Australia’s Wallabies will head into this week’s Test under pressure to turn around last week’s loss as they know that another England victory will win the series for England. Australia made a bright start last week and scored two early tries as they caught England offguard with the pace of their game. This week the Wallabies will need an 80 minute peformance as they quickly learned last week that England are a vastly improved side since last year. England will be brimming with confidence after last week as they ran in their highest ever score against Australia in 45 matches. 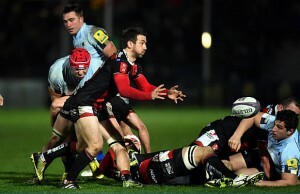 It also extended England’s winning streak to eight straight wins. Worryingly for Australia they were outplayed last week at the breakdown and that was with David Pocock in the team. Statistics show that Australia still win without Pocock in the side but they are 20% less likely to win when he is not playing. Wallabies head coach Michael Cheika has made four changes to the side that played last week. 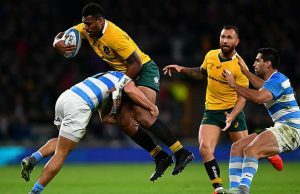 Last week Australia struggled in the scrums so Scott Sio has been dropped – entirely from the squad – and there is a new front row of Sekope Kepu , James Slipper anmd Captain Stephen Moore. Pocock’s injury sees Sean McMahon come into the team at No.8 and Sam Carter earns his first start since Australia played the United States in Chicago last year before the World Cup. The Australian backline is unchanged. England have made two changes to the side that played last week. George Ford comes into the side at flyhalf which pushes Owen Farrell out to centre. This is not a major change as coach Eddie Jones made this change half way through the first half last week so the combination will be familiar having played almost 60 minutes together in Brisbane. The other change for England is on the wing where Jack Nowell who scored England’s final try comes into the starting line up replacing Marland Yarde who drops out of the 23. Australia have played England twice in Melbourne before – in 2003 and 2006 and both teams have won one match each. The average score when these teams meet in Melbourne is Australia 28 England 22. Australia rarely lose the second Test in a series but last week showed that they will have their work cut out for them this week. Australia will have the benefit of a Southern Hemisphere referee while England have the incredible kicking talent of Owen Farrell. The Bookies have given England a 2 point start for this Match – with an offer of up to $200 in Bonus bets. The loss of David Pocock is a massive blow for Australia and they will struggle at the breakdown without him. England should edge this by one.